Coffee Roasteries, and the people behind them. People passionate about coffee are interesting people. And I want to write stories about these things. Here's the coffee story section. It's the collection of shop and roaster visits, cuppings, and overall travel coffee experiences. If you click the cities tab above, you can filter by city. Each blog generally includes musings on the people, the coffee, and the place itself - as well as pictures of the aforementioned list. I hope to offer a unique view into the world of coffee through it's coffee shops and potentially inspire you to visit them someday. I'm a Wedding Photographer. I have a studio, but it's no fun being cooped up there all the time. I began spending time with local baristas at various shops a few years ago and fell in love with coffee. I spent a couple thousand dollars on a nice grinder, some pourover equipment, and some beans, and started traveling to learn more about coffee preparation, roasting, and those behind coffee operations. I've been to Minneapolis, NYC, Boston, Puerto Rico, Austin, Dallas, LA, SFO, Seattle, London, Amsterdam, and Paris for coffee, so I've had a few cups. Some good, some very bad, but this is my platform to tell those stories. 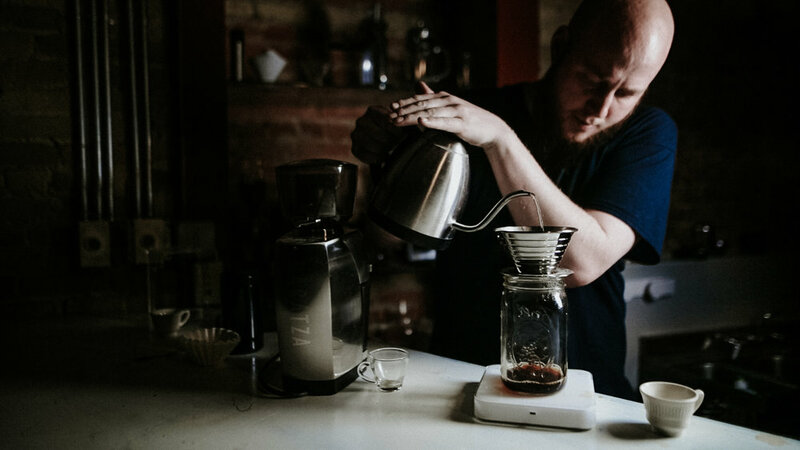 You'll find coffee travel stories, as well as what I'm currently brewing at my studio brewbar. I find it exciting, and I hope you do too. I'm a hobbyist, and this is one I've taken to a further extent than anything so far. Outside of coffee, I like DJing house and techno music, skateboarding, teaching piano and guitar lessons, and my kindle. Do you have a question? Are you a unique roastery I could shoot at? Or maybe you just like the content. Let me know! I don't work in coffee, but I have amassed a home coffee bar, so I'm a personal barista. Here are some of the gear I enjoy using. This baby has definitely been worth my investment. 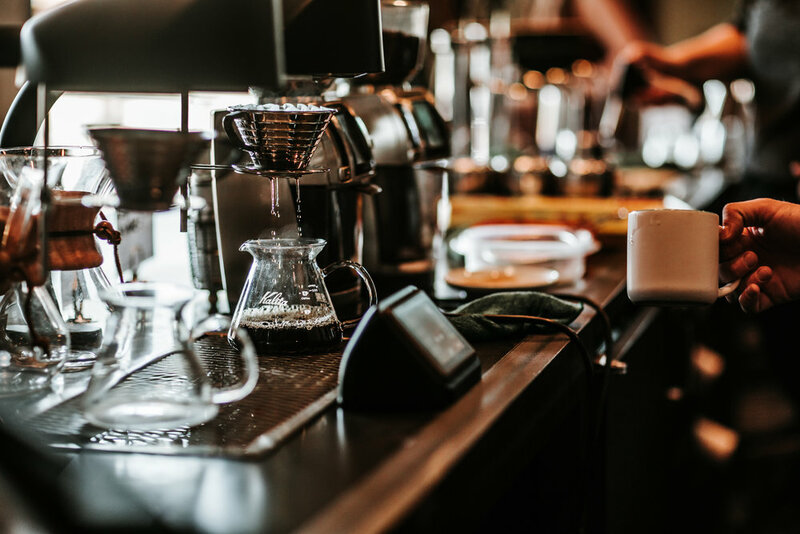 Clocking in at $899, it's functional at the coffee shop level, but for the aspiring home master-barista, it is extremely convenient. With a built in gram-scale, it will measure out the exact grams you're looking for at the grind setting you select. I bought the AP or all purpose version, which grinds sufficient espresso grounds, all the way to a course french press grind. There are 260 different size grinds, it's touch screen, and wicked fast. The exchangeable hopper at the top allows for easy swapping when you'd like to change beans. This scale is gold. It's minimalistic, since that's what everyone's about these days. I have the white one, and it brings a nice pop of color, or lack there-of - to my countertop. It's fascinating because it's a bluetooth scale, and it connects to my iPhone / iPad. There's an Acaia app that you can log every-single-one of your brews. 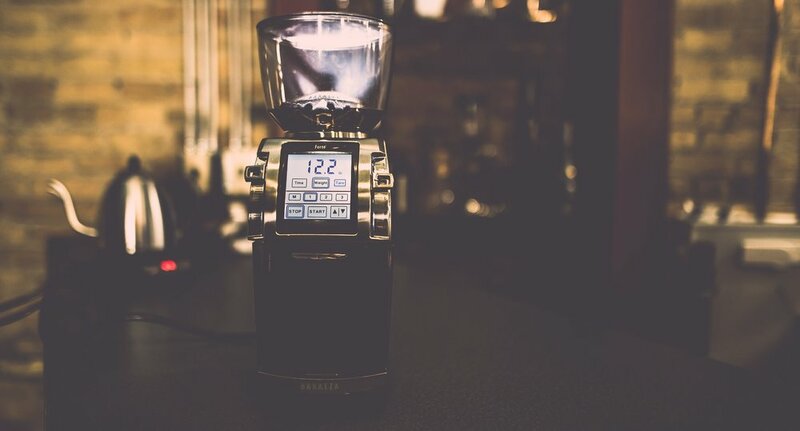 Depending on what brew method you're using and what water to coffee ratio you want, it calculates the the amount of water needed, and tracks it on a graph as you pour real-time. It recommends times for the bloom, as well as different pours, but it allows you to change them if you think you know better.